Frequently Asked Questions – Why Use an Architect? "Good Architects are not just conceptual designers, they are trained to take your brief and respond to it, whilst always keeping an eye on the big picture: thinking ahead in regard to future issues such as Planning, Building Regulation Compliance, Build Costs, 'Buildability', Maintenance and Running Costs". The construction process can be a minefield for the uninitiated so if you work with someone who understands it as thoroughly as an Architect, you have a better chance of it all going smoothly. 1. Save you money by maximising your investment and adding value. Professional attention to detail will achieve value through the most efficient use of space, and careful selection of materials and finishes. 2. Help you successfully navigate the minefield of Planning and Building Regulation legislation. 4. Contribute to a ‘good’ (cost effective) planning permission which can substantially increase the value of your site. 5. Manage your project from site selection to completion. The earlier you have the input from the Architect the more they can help reduce build costs and improve energy efficiency/running costs of a building as these can be greatly affected by some of the earliest design considerations such as building orientation and form. 6. Specify good value efficient materials and construction processes. 7. Reduce running costs (and life cycle) of a new or existing building. 8. Demonstrate how disused and low value sites can be brought back into use and made commercially viable. 9. Help you look beyond your immediate requirements to design flexible buildings that will adapt with the changing needs of your lifestyle or business. 10. Help you decide on whether to expand in your existing premises or relocate your home or business to a new site. 11. Co-ordinate a team of specialist consultants, such as landscape architects, structural engineers, quantity surveyors, interior designers, builders and subcontractors. Why not go straight to a Builder? Most builders will happily quote to construct your new home or extension from Planning or Building Regulation drawings. However, without a detailed set of Construction information that specifically describes what it is that you require there will, almost certainly, be a huge discrepancy between what the builder is proposing to provide you with and what you expect. It is this difference in expectations that inevitably leads to disappointment and legal disputes between home-owners and Builders. As well as guiding you through the minefield of planning and building regulation legislation, an Architect can help you to avoid a costly legal dispute with your builder. The Architect will prepare the necessary detailed Construction Information and Contract (including detailed construction drawings and a written specification) which accurately and clearly describes your requirements as well as minimum workmanship standards. The Architect uses this contract information to coordinate all of the different aspects of the project, and formally agree a fixed price and time-scale in which the builder is to provide the finished product. As a result of the above you are protected from misunderstandings and unforeseen extra costs. ar·chi·tect [ahr-ki-tekt] : Etymologically, architect derives from the Latin architectus, itself derived from the Greek arkhitekton (arkhi-, chief + tekton, builder), i.e. chief builder. "In the UK, under the Architects Act 1997, it is a criminal offence for anyone not registered with the ARB (Architects Registration Board) to use the title Architect (in regard to construction) in a commercial context. An Architect is a person trained in the planning, design and oversight of the construction of buildings. To practise architecture means to offer or render services in connection with the design and construction of a building, or group of buildings and the space within the site surrounding the buildings, that have as their principal purpose human occupancy or use". Professionally, an Architect's decisions affect public safety, and thus an Architect must undergo specialised training consisting of advanced education and a practicum (or internship) for practical experience. Architecture is a business in which technical knowledge, management, and an understanding of business are as important as design. Architects guide you through the complex procedures of planning permission and building regulations and monitor the builders programme of works through to completion. All registered Architects are obliged to carry professional indemnity insurance and are required to adhere to a strict 'Code of Conduct'. The Architect, is responsible for creating a design concept that meets the client's requirements both aesthetically and functionally. In so doing, the Architect will need to have an in depth discussion with the client to ascertain all the requirements and nuances of the planned project. This information, known as a program or brief, is essential to producing a project that meets all the needs and desires of the client—it is the guide for the architect in creating the initial design concept. Architects prepare these technical or "working" documents (building regulation drawings, tender/construction drawings and specifications), usually coordinated with and supplemented by the work of a variety of other construction professionals such as [mechanical, plumbing, electrical, civil, structural] engineers. The Building Regulation drawings are then submitted for approval, usually by the Local Authority. The Tender drawings and specifications are used for pricing the work, and are issued for construction under an agreed contract. Architects typically put projects out for Tender on behalf of their clients and help the client select the most suitable Contractor. Once the project is on site, the Architect will monitor the progress of the work during construction, reviewing subcontractor 'shop' drawings and other submittals, preparing and issuing site instructions, and providing construction contract administration and 'Certificates for Payment' to the Contractor. This ensures that the client only pays for the relevant works properly carried out on site. Depending on the client's needs, the spectrum of the Architect's services may be extensive (detailed document preparation and construction review) or less inclusive (such as allowing a contractor to exercise considerable design-build functions). On larger projects, a quantity surveyor is often part of the team to provide cost consulting. Whether you are looking for tradition or innovation, boldness or understatement, an Architect can lift your project out of the ordinary with flair, imagination and style. Undertaking a building project, whatever its scale can be a daunting experience, be it a simple house extension or a large office development but the same basic criteria apply. Anyone styling themselves 'building consultant, 'architectural designer' or 'plan drawer', is unlikely to be an Architect and does not have comparable skill or knowledge. 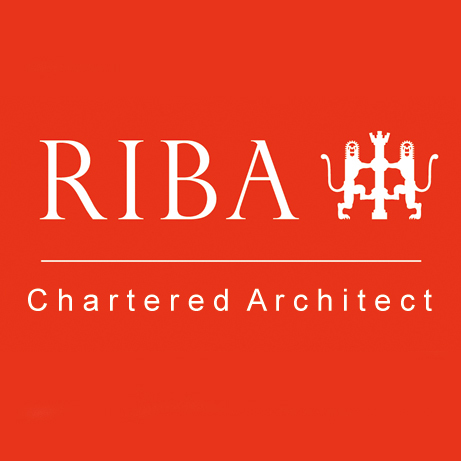 When you use a Chartered Architect, you are employing someone who has undertaken at least seven years' professional training, the longest in the building industry. For examples of completed projects please visit the Projects page of this website. For a summary of the services that Jonathan provides and how he can help you with your project please visit the Services page of the website.